The Sports Office has enhanced the quality of video functionality within its performance management systems (PMS) for elite sport. The improvements have been implemented by the company’s development team and mean greater quality, speed and efficiency for all users. The Sports Office’ desktop systems and the accompanying mobile apps, make extensive use of video to provide support for coaching and preparation. This includes the distribution of video clips to athletes’ and players’ personal devices for performance review and competition preparation. The latest enhancements ensure these vital processes will be fully optimised. “By upgrading the video functionality within all our systems, we are adding an additional level of quality assurance and service for our clients in high-performance sport“, said Rob Jackson, Operations Manager at The Sports Office. Significantly, the improved functionality will enable coaching, medical & sports science personnel using The Sports Office to quickly and easily upload video from mobile devices in any file format with no encoding required. This can be done from the training field, the gym, or the match/competition venue and hence improves the system’s overall value as a coaching tool. It will also offer “throttled” video playback to provide the best user experience, regardless of the connection speed. The Sports Office provides online performance management systems to organisations and teams operating at the highest-levels of elite sport, including world football, professional cycling, tennis and rugby union and league. Any sporting organisations wishing to know more about the new functionality or the broader capabilities of The Sports Office’ performance management systems should contact our client management team. The Sports Office development team has enhanced the functionality of the medical module, within the performance management systems they provide to elite sport. A medication tracking feature has been introduced, which allows real-time, accurate monitoring of dosages to players and athletes. The new functionality also enables sports medicine practitioners to efficiently manage their medication inventories, as well as the ability to quickly and easily carry out audits of current medication practices. Detailed reports can be generated and the system can send e-mail notifications, which act as prompts and reminders for treatment and other medical activity. “We believe this enhanced functionality can deliver significant benefits for all sports medicine practitioners, using our performance management systems.”, commented Rob Jackson, Operations Manager at The Sports Office. “Excellence in sports medicine is regarded as a key element of any successful high-performance sport organisation, and these improvements to our systems offer comprehensive support for the delivery of these vital services. The new medical functionality has been integrated into all systems provided by The Sports Office to organisations and teams operating at the highest-levels of sport, including world football, professional cycling, tennis and rugby union and league. Any elite sporting organisations wishing to know more about the new functionality or the broader capabilities of the Sports Office performance management systems should contact our client management team. Also, for a brief overview of some other features of our medical modules, watch this video. The Sports Office online performance management system for elite soccer, “the football squad”, has been shortlisted as a finalist in the 2015 Sports Technology Awards. The nomination is in the team category of “Best support technology for managers and coaches”. The shortlisting means the company is in contention for the overall award, alongside five other leading organisations, including Cricket Australia. The Sports Technology Awards aim to recognize and celebrate the increasingly important role that technology plays in sport and highlight successful technological innovation, across all aspects of the sector. “We are pleased to have received this shortlisting for ‘the football squad’ and we look forward to the announcement of the main award, later this year “, said The Sports Office Director Phil Clarke. “Our fundamental objective when developing our systems for football, rugby and a range of elite sports is to help players and athletes to optimise all aspects of preparation and performance. Clarke added: “We believe we have created a solution, which is adaptable to meet the challenge provided by the ever-increasing and sophisticated demands of elite football and high performance sport. The evolving challenges provided by sports science, sports medicine and evidence based approaches to preparation, require that those involved at the top level can draw on a powerful support tool”. The Football Squad is an online performance management system. It links departments within a sporting organisation, allowing effective use of data and management information, to generate insight and performance intelligence. It provides extensive functionality which supports coaching, video-usage, sports science, sports medicine, scouting and recruitment, squad management and communication. It also allows for the individualisation of preparation for team sports and the creation of detailed personalised performance plans. The judging panel for the Sports Technology Awards comprises high-profile figures, drawn from across international sport, each of whom is asked to assess work which falls within their area of expertise. The winners of each award category will be announced on Friday 27th March 2015, in London. Following a period of expansion and successful business development, both in the UK and overseas, The Sports Office is to move its headquarters to the historic Wigan Hall. The company, which supplies online performance management systems to elite sports organisations throughout the world, will transfer its offices to the site, near Mesnes Park in the town. 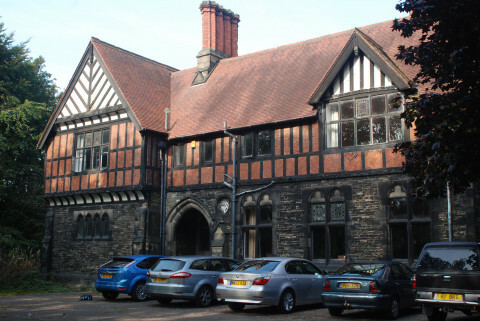 Wigan Hall was recently purchased from the Diocese of Liverpool and is Grade II Listed. It was designed by celebrated architect George Street, whose work includes the Royal Courts of Justice in London. The Sports Office will convert the building for use by their development and coding team as well as the client management and administration teams. They have pledged to work closely with all appropriate bodies to ensure any restoration does not damage or detract from the building’s historical significance. ”We have always been proud of Wigan as our home town and we relish this opportunity to restore what is a fascinating building and bring it back into beneficial use”, said Phil Clarke, Director of The Sports Office. Clarke added: “Although our business is relatively new, we are experiencing healthy levels of growth and we are proud to be able to provide even more employment opportunities for people from the local area. 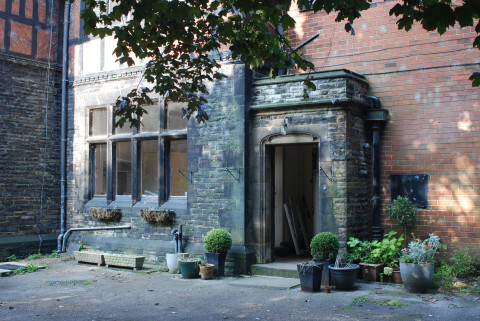 “We will work closely with the appropriate bodies to ensure our restoration of Wigan Hall does nothing to detract from or damage its historical significance”. Restoration and conversion work will begin at Wigan Hall in December 2014. The Sports Office provides online performance management systems, used across elite sport, which offer a range of functionality to support coaching, athlete/player performance, administration, health and wellbeing, recruitment, squad management and a mobile athlete app. The Sports Office’s dedicated software for elite football is currently used by leading clubs in the Barclay’s Premier League, the Sky Bet Championship, the MLS in the United States and Australia’s A-League, as well as major football governing bodies, including the Scottish FA. The company also supplies many high-profile organisations in professional rugby including the RFU and various Super League teams, including Wigan Warriors. In both rugby and football, The Sports Office provides client support for implementation and training, meaning that clubs and organisations can easily begin using the systems without additional staff recruitment. Leading sports analytics expert Professor Bill Gerrard has joined The Sports Office as they continue to enhance the Analytics module of their performance management software. Gerrard – who is Professor of Business and Sports Analytics at Leeds University Business School, and holds a UEFA ‘B’ coaching licence – will provide strategic leadership in this specific area , ensuring the Sports Office continues to enhance its coach-led approach. He is well known for his pioneering activity within this rapidly developing discipline, and has worked with US baseball icon Billy Beane, who himslef is regarded as the man who first embraced a more analytical, evidence-based approach in elite sport. “We are delighted that Professor Bill Gerrard will join The Sports Office team, to work with us as a consultant”, commented Phil Clarke. “Bill is rightly regarded as a pioneer and one of the pre-eminent thinkers in this area. Gerrard pioneered statistical analysis in football in the 1990s, using evidence based methods to value players. In collaboration with Billy Beane, General Manager of the Oakland A’s, Gerrard explored the feasibility of applying the “Moneyball” approach in Major League Soccer. Bill has also worked with several of the leading football clubs in the UK. In the world of professional rugby, Professor Gerrard has also worked for the last five years as technical analyst with leading Aviva Premiership club Saracens. Again his approach and methods were credited with significantly enhancing coaching, preparation and performances. To learn more about how The Sports Office’s powerful online performance management systems can support sports analytics, as well as the full range of funcationality they provide to support preparation and performance at elite level, please contact our Client Management Team. The Sports Office is to attend the International Rugby Board’s (IRB) second World Rugby Conference and Exhibition (IRB World Rugby ConfEx) – which takes place on November 17th and 18th in London. The company will be represented by members of its Client Management team, within the Exhibition area. The event will also feature the IRB Medical Commission Conference, alongside various group discussions and workshops. “We are delighted to be participating in the IRB World Rugby Conference and Exhibition”, commented Phil Clarke, Director of The Sports Office. Clarke added:”We look forward to discussing the key issues relating to optimising performance in elite rugby and outlining how our powerful performance management systems can support this. RFU Chief Medical Officer Simon Kemp also commented: “The Sports Office provides a whole-league comprehensive electronic player medical record with an integrated injury surveillance function. It’s fundamental to the delivery of sports medicine care to our Premiership and England rep team players. “Our players, medical staff and performance teams all derive significant benefits”. The World Rugby ConfEx was launched by the IRB in 2013 with the aim of bringing together the global Rugby family and maximise opportunities for all involved in the sport. The inaugural event saw representatives from over 100 National Unions among the 600 delegates, and over 30 international exhibitors. Speakers including Patrick Hickey (President of the European Olympic Committees), George Gregan (former Australia captain), Agustin Pichot (IRB Council Member for Argentina) and British Olympic Association Chairman, Lord Coe have previously appeared at the event. The Sports Office is finalising the development of a number of enhancements for its mobile app for smartphones and tablets. This new functionality makes the powerful features of the app even easier and quicker to access for coaches, performance staff and players. The improvements have been added by our experienced programming team after an extensive research and development process. The app allows players to view personalised videos at a time of their choosing, on their own devices. This flexibility and convenience improves the effectiveness of these key elements in the preparation cycle. Athletes can also use the app to provide information such as daily well-being and to view training schedules and diary commitments. Coaches and performance staff can gain access to key data and management information regardless of their location and can monitor athlete usage of the system, giving them reassurance that their squads are adhering to agreed personal development plans. The Sports Office mobile app is compatible with iOS, Android and Windows devices. It is already widely used by clubs in Premier League football, International football federations, Premiership Rugby Union clubs and a range of other elite sporting organisations. Any of our current clients or anybody with an interest in understanding more about the new functionality should contact our client management team. Toronto FC are the latest club in global professional football to choose The Sports Office’s online performance management system. The club which competes in the Eastern Conference of the Major Soccer League (MLS) will use the system to support their teams and playing squad. The Canadian based organisation will benefit from a wide range of functionality offered by the system including athlete monitoring, sports science, sports medicine, data analytics and information management as well as coaching and scouting. The Sports Office Operations Manager Rob Jackson said: ” We are delighted to be working with Toronto FC as they seek to continue their development as a major force in the MLS. The Sports Office supply performance management systems to several elite football clubs who play in the world’s most high profile competitions. These include Manchester City in the Barclay’s Premier League and Melbourne City in Australia’s A-League. The Sports Office (TSO) is attending the 2014 Soccerex conference in Manchester. The event, which is widely regarded as the world’s largest convention of its kind in global football, is being staged at the city’s GMEX arena, from 6th to 10th September. Members of the TSO team will be available to meet existing and potential clients and offer demonstrations of the company’s online performance management systems. During the convention, The Sports Office team will be located on stand 419 which is to the right as deleagtes enter. Soccerex is attended by world football’s leading administrators, decision makers and legends from the sport. It is used as a platform to engage with the latest developments in the global football industry.